One thing our customers always ask when visiting Delta Force Paintball is ‘How do I become a better paintball player?‘. While there’s no quick fix, there are certainly several techniques you can use to give you the best chance of winning on the day. Why not get ahead of the game, swot up and give our ‘Paintball Dos and Don’ts‘ guide a good read? You won’t regret it! Do make sure your goggles are on securely and comfortably whenever you are out in our Hollywood inspired game zones. Safety always comes first at our paintball centres. Do pay attention to the safety brief at the start of the day. Not only will you learn about everything you need to know for the day but you might learn a few sneaky paintball tactics too! Do listen to the centre manager and the qualified paintball marshals at all times. Do take care when out in the game zones.You may like to do a light warm up/stretch before playing. No one wants to pull a muscle! Do listen to your team and never be afraid to give suggestions. Good team communication is a huge step towards achieving victory. Do come back and play paintball again! 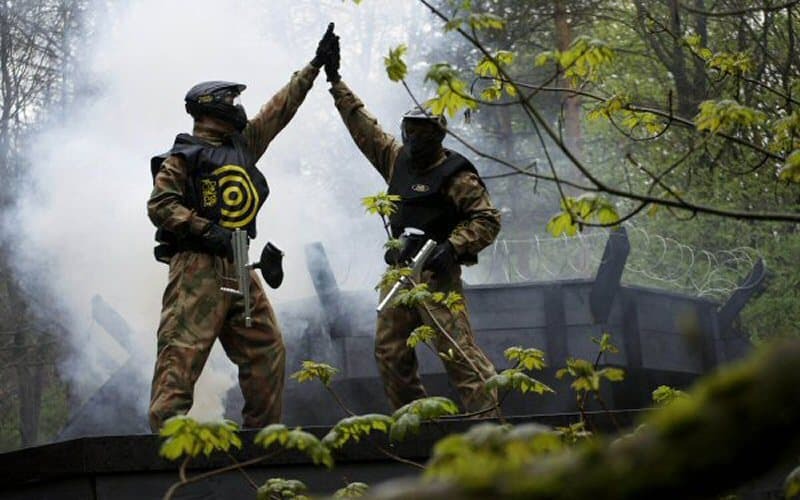 Whether you’re planning a stag or hen party, celebrating a kids birthday or organising a team building activity, paintball is the perfect choice. Don’t ever take off your goggles when out in the game zones. Failure to comply with this rule could lead you to be ejected from the premises. If a paintball makes contact with your naked eye it could cause serious injury. Don’t disregard anything the centre manager or paintball marshals say. They are there to ensure your safety and to make sure you and your group have the best day possible. Don’t shoot anyone if they are closer than three metres away. Don’t run out of paintballs or pyrotechnics halfway through a game. This could put your team at a serious disadvantage, as well as limiting your fun! Don’t be afraid! With Delta Force Paintball’s state of the art protective clothing and equipment you are well protected. Don’t forget to have fun! Whether you’re a paintball newbie or a seasoned pro, just remember to make the most of it and enjoy yourself! 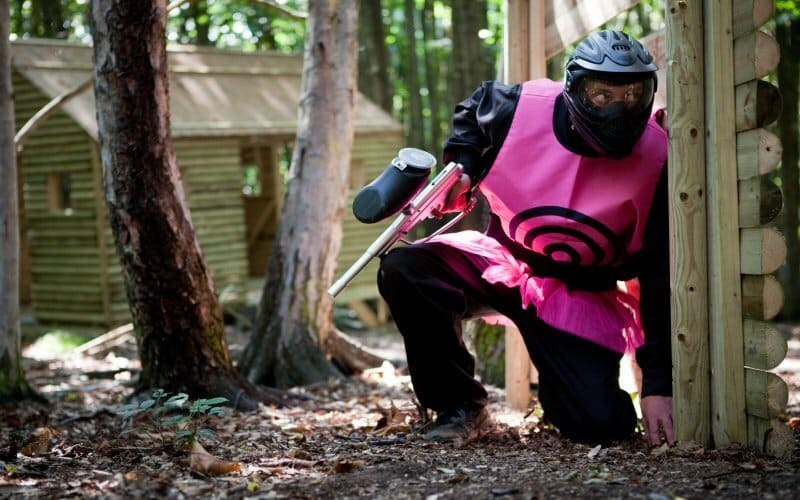 Are you ready to book an unforgettable paintball day? Then simply give one of our friendly event coordinators a call on 0203 869 9301. We’re open 24 hours a day, 7 days a week. Alternatively you can visit our booking page to request a call back.